Kincaid Insurance helps tow truck operators and companies find the most affordable coverage. As an independent agency, we will work with our providers to offer you the coverage you need to keep things rolling. We insure wreckers, tow trucks, flatbeds and rollbacks, semi haulers, and more. Our coverage is both comprehensive and affordable, which helps you stay focused on growing your towing business. One big difference between us and other providers has to do with our flexible payment options. Our goal is to get you the coverage you need without negatively impacting your cash flow or the bottom line. That’s why we make coverage available in 12 easy payments per year. In most cases there are no large down payment requirements or finance charges involved. That’s our commitment to you. 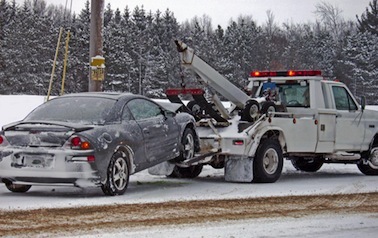 We currently serve tow truck companies in these markets: Indiana, Kentucky, Illinois. We have customers spanning this area, including towing businesses located in Evansville, Newburgh, Boonville, Rockport, Jasper, Vincennes, Haubstadt, Terre Haute, Corydon, Princeton, Washington, Tell City, Ferdinand, Henderson, Owensboro, Louisville, Madisonville, Carbondale, Mt. Vernon, Olney, Fairfield, and many others.